Economic growth in Africa is accelerating, however many ordinary Africans are not reaping the benefits. An estimated 492 million individuals are without identification in Sub-Saharan Africa, representing 43% of the global total (despite accounting for only 15% of the global population)*. It is clear that robust identity management systems are required to ensure social inclusion for all. Innovatrics has been present in Africa for over 10 years, working with our partners on dozens of identity management projects. Africa remains a key region for Innovatrics. In recent years, we have provided biometric technology for Civil Identification, Election (voter register) and Financial Sector projects in more than 15 countries including Cameroon, Ghana, Guinea, Uganda, Burkina Faso, Mozambique, Kenya, Ethiopia, and Nigeria. Recently, our technology was used in a biometric e-Visa project in Uganda, making visa applications easier ever, and resulting in an immediate increase in tourism and business travelers. Innovatrics regularly attends conferences and exhibitions in Africa. So far in 2017, we have attended ID4Africa in Windhoek, Namibia and Seamless Payments in Cape Town, South Africa, and we plan to attend events in Kenya and Nigeria later in the year. Attendance at these events helps us to network with potential partners in the region and we currently have a number of significant projects in progress and in the pipeline. The benefits of effective biometric identity management systems in Africa are endless; public services can be delivered more effectively, issues such as child marriage and people displacement can be better managed, and we can ensure financial inclusion for many people who would otherwise be excluded from access to facilities and benefits which they are entitled to. According to the best available data, all indications are that governments in Africa have a clear and open need for advanced identity management solutions. 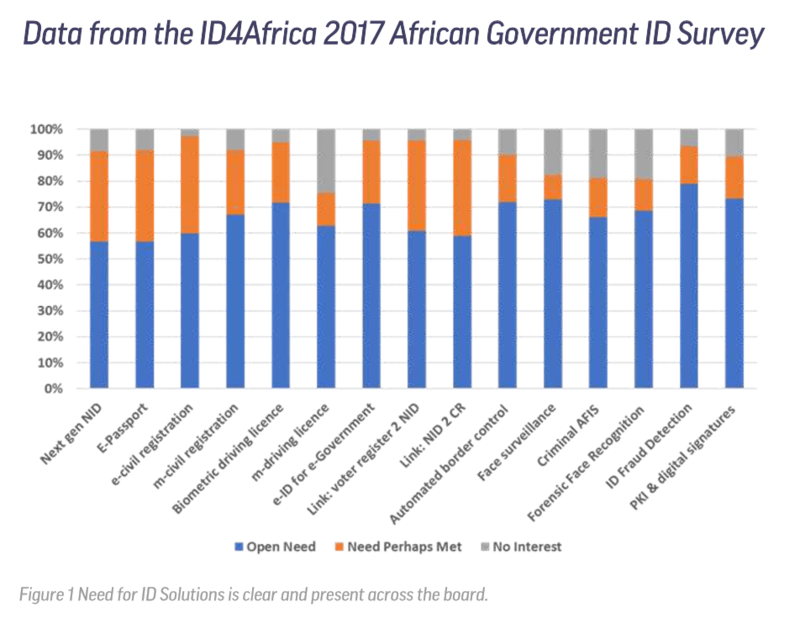 The 2017 ID4Africa Government Survey reveals that 80% of respondents believe that their government has a need for and ID Fraud Detection system, while over 70% expressed a need for Automated Border Control.